Gorgeous bride alert! Brooke’s wedding gown has the most gorgeous detailing with illusion back, cascading lace and buttons. Just one look at this dress and we’re positive you’ll want to see all the pretty images Ashley Wittmer Photography sent our way. The barn locale, outdoor ceremony space, florals and casual laid-back style are just a few of the reasons why we fell in love with this rustic Midwest wedding captured and you can see it all below. 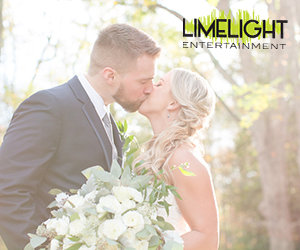 From Ashley Wittmer Photography…These two have some serious chemistry, so I couldn’t wait to photograph their wedding day. Brooke loves all things romantic and rustic; she’s absolutely beautiful and her dress was perfection. The Barn in Zionsville was the perfect backdrop for her vision, and we were all thrilled to have a day full of warm Spring sunshine! ?